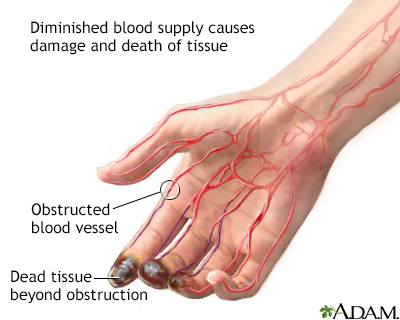 Thromboangiitis obliterans is a disorder that leads to obstruction of the blood vessels of the hands and feet. 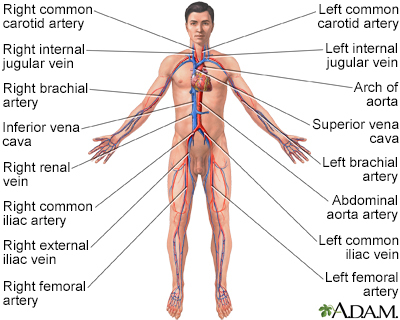 The blood vessels become constricted or totally obstructed because of the inflammation and clots which reduces the availability of blood to the tissues. Thromboangiitis obliterans almost always affects men, 20 to 40 years old, who have a history of smoking or chewing tobacco.